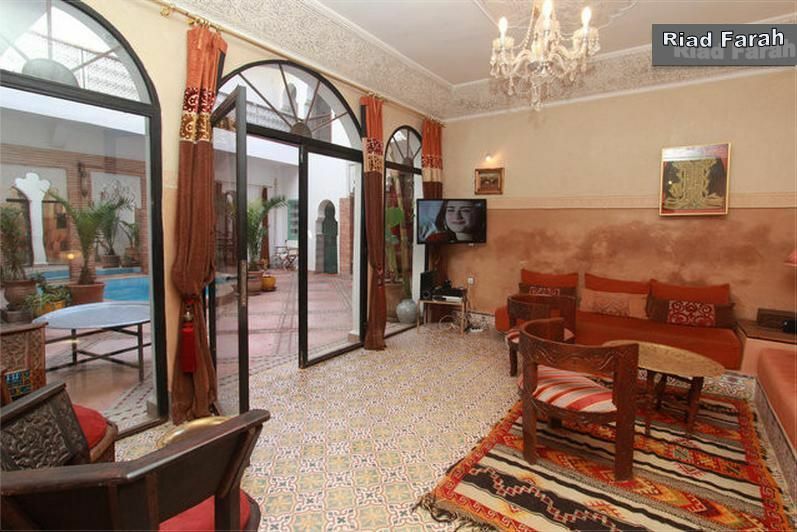 Exceptional location in Marrakesh, only a few steps from the famous Djema El Fna square, Riad Farah was entirely renovated in 2008. There are 6 bedrooms around a first patio (interior courtyard) and 3 additional bedrooms around the second patio. Both patios can be rented separately. 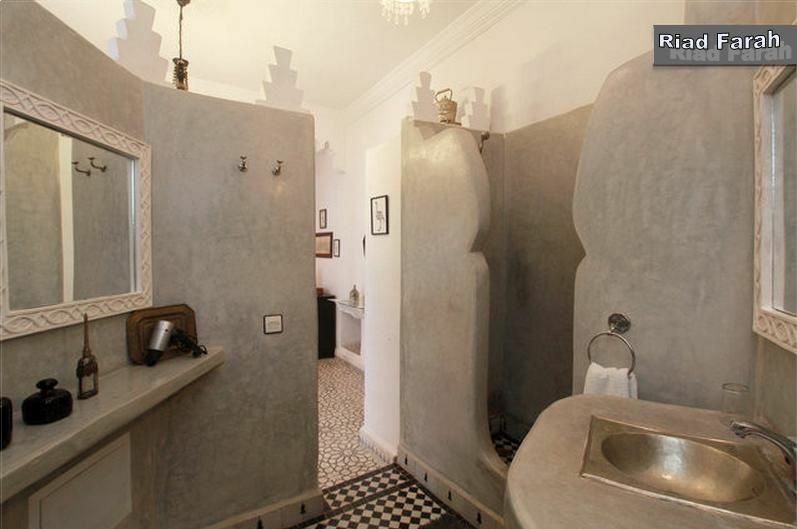 All nine ensuite bedrooms are decorated in a different style; the large roof terrace is a great place to enjoy the sun all year long or to relax in the shade. The main patio has a small pool, a Banana tree and an open living room. We specialize in organizing exclusive stays for families (children are welcome!) and groups of friends at Riad Farah. Our experienced team takes care of all the little details to make your stay in Marrakech a memorable experience. 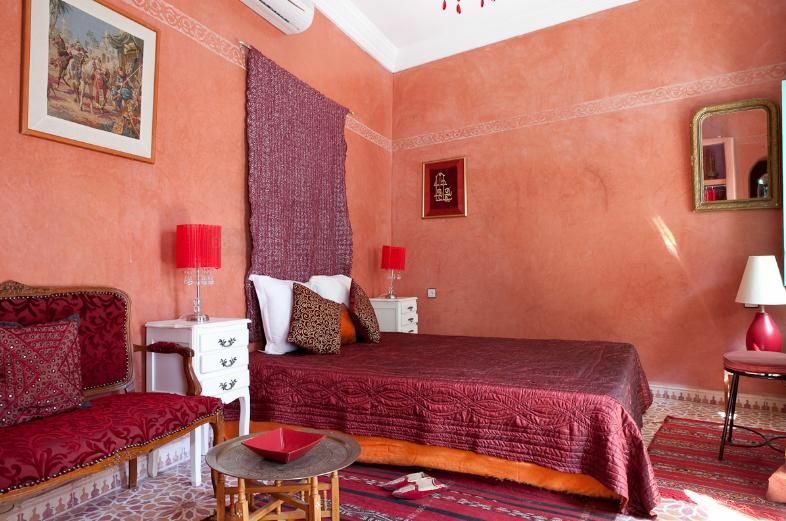 The bedrooms and the house are cleaned every day and a comprehensive Moroccan breakfast with fresh orange juice is served every morning by Amelle, our excellent cook. On request, Amelle will also cook excellent Moroccan meals for you for lunch or dinner. 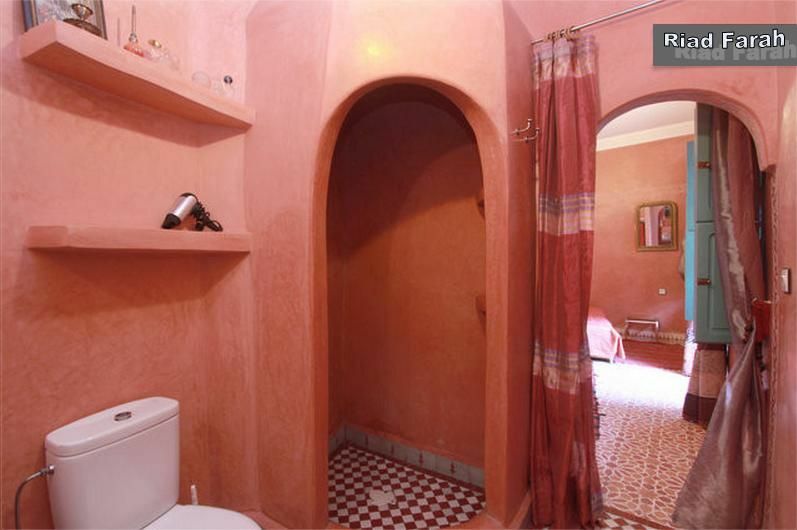 We can organize many excursions inside and outside Marrakesh. 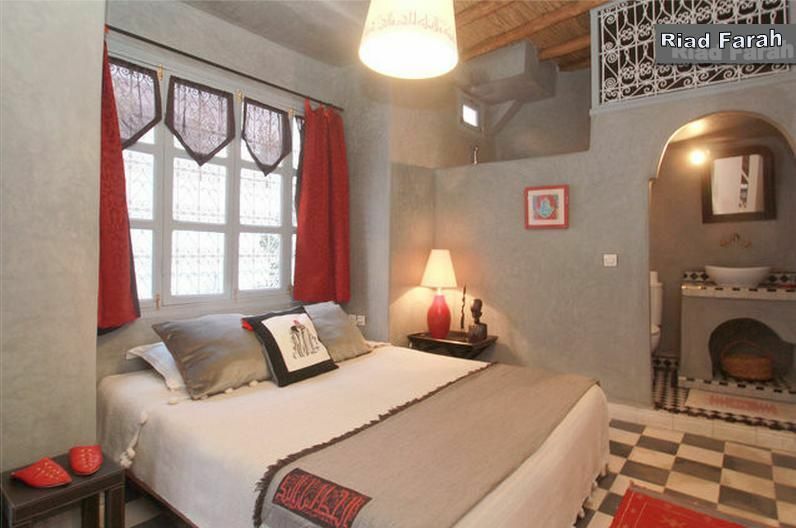 200m from the Djema el Fna square, in the very center of the medina of Marrakech. 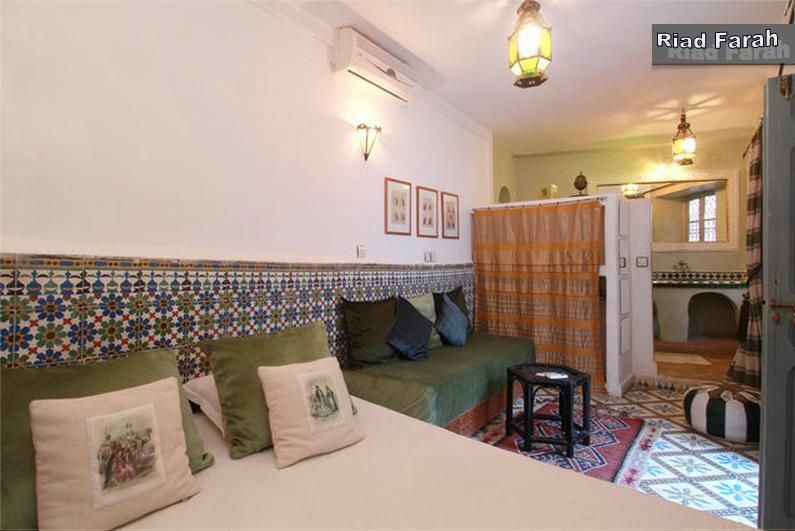 The Riad is located in a small alley behind the Djema El Fna square, access by car is 150m or 500 meters away depending on arrival time (the square is closed to traffic from 1pm to 11pm). Marrakech train station is located 2.5 km. 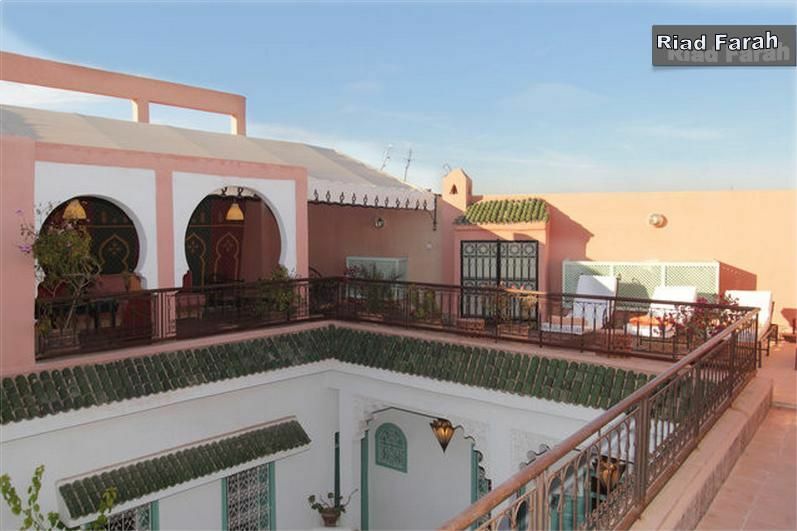 An enchanted one week break in the heart of the Medina, near the famous Place: we chose to eat at the Riad and evening menus were varied and excellent ... especially THANK YOU to 3 cooks. We were housed in 17 charming rooms spread over several levels, we were able to enjoy these beautiful vistas, this solar comfort of October and these moments with friends around the pool, on the terrace or in the lounges, renew as soon as possible and recommend around. Une parenthèse enchantée d'une semaine au cœur de la Médina, près de la célèbre place : nous avions choisi de manger au Riad le soir et les menus furent variés et ...surtout excellents : MERCI aux 3 cuisinières. Nous étions 17 logés dans de coquettes chambres répartis sur plusieurs niveaux, nous avons su apprécier ces échappées belles, ce réconfort solaire d'octobre et ces moments entre amis autour de la piscine, en terrasse ou dans les salons, à renouveler au plus vite et à recommander autour de soi. Okay, calm and attentive staff. Très bien, calme et personnel à l'écoute. 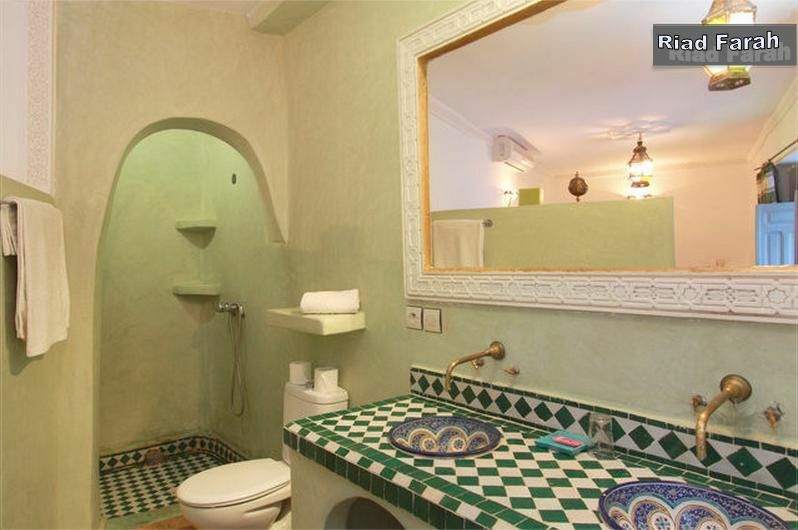 I highly recommend the Riad Farah. We privatized the Riad for a friend's birthday and we were 14 people. 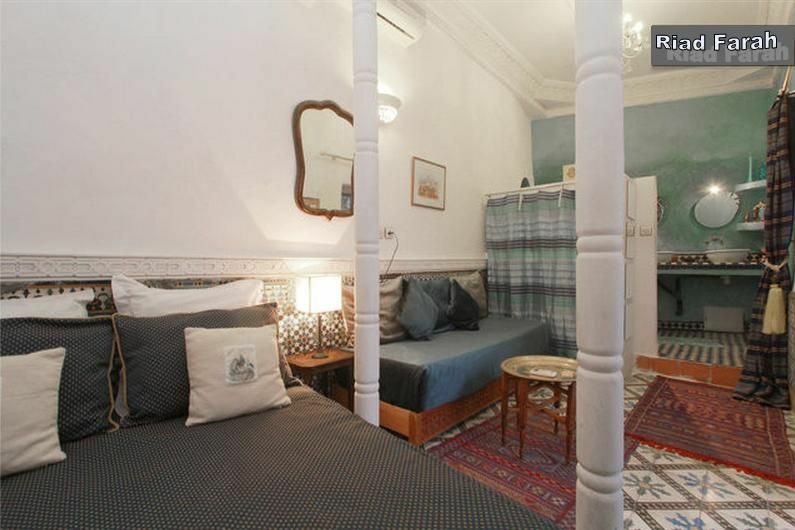 It was magical, the Riad is typical and we were really in the heart of the city, 3min walk from Djemma el Fna and the souks. We had several times on the phone Mr. Coulaud, which is very nice. It has managed numerous transfers from the airport to Riad (different arrivals at the airport for several people) and went very available to answer our many questions of organization. 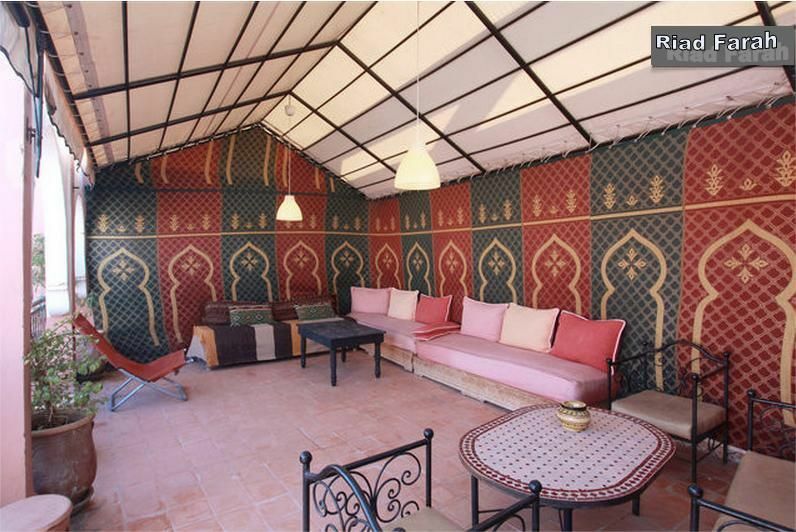 I also recommend dinner at the Riad, we had dinner on the covered patio and a delicious couscous cookers are adorable. A big thank you to all the team on the spot for their discretion and availability. All our friends were delighted and will be going again! 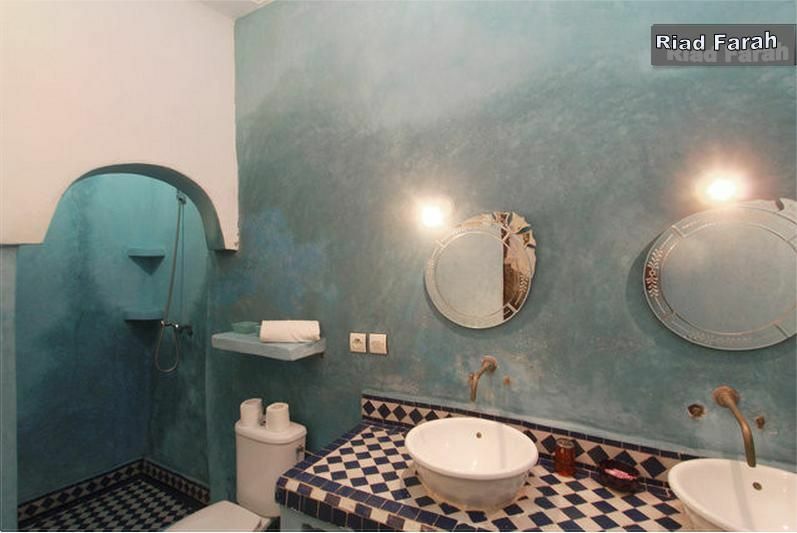 Je recommande vivement le Riad Farah. Nous avions privatisé le Riad pour l'anniversaire d'un ami et nous étions 14 personnes. C'était magique, le Riad est typique et nous étions vraiment en plein coeur de la ville, à 3min à pied de la Place Djemma el Fnaa et des souks. Nous avons eu plusieurs fois au téléphone M. Coulaud, ce qui est très agréable. Ce dernier a géré les nombreux transferts de l'aéroport au Riad (arrivées différentes à l'aéroport pour plusieurs personnes) et s'est rendu très disponible pour répondre à nos nombreuses questions d'organisation. Je vous recommande également le diner au Riad, nous avons diné dans le patio couvert un couscous délicieux et les cuisinières sont adorables. Un grand merci à toute l'équipe sur place pour leur discrétion et disponibilité. Tous nos amis étaient ravis et nous reviendrons sans hésiter !! We were a group of 17 people in our 30s traveling to Marrakech for 5 days to discover the city and to celebrate a birthday. The offer for our stay was based on the accommodation incl. airport transfers + breakfast + taxes + touristic birthday dinner Including local musicians. 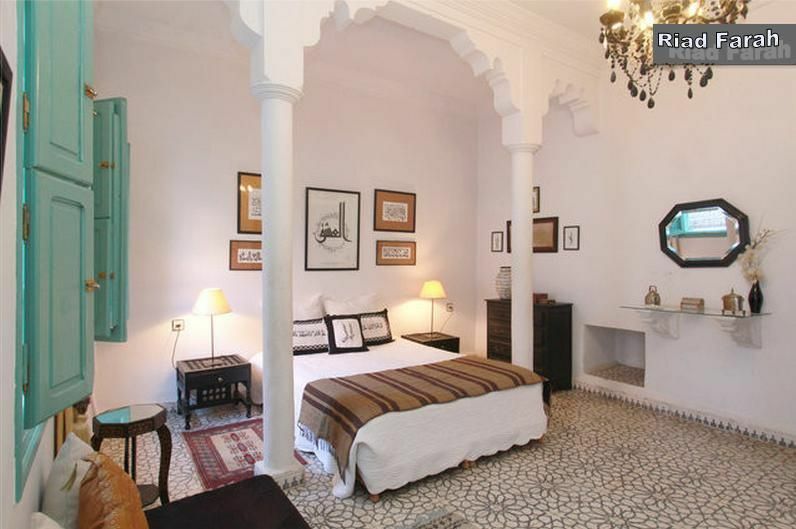 I found the Riad on the Internet in December, and I have-been in touch with the landlord, Mr Coulaud, several times prior to the trip. Mr Coulaud is a lovely man, He Has done his best to help and to reply to all my issues in the best Manner. He Took The odd time to call me on my UK mobile to Clarify the point I was not sure about, I really appreciated the gesture! According To the plans when we arrived at the airport, the transportation WAS waiting for us. Once we arrived at the Medina, a lady Showed us the way to the Riad All which is only a Few Minutes away from Jemaa el Fna. At the Riad, Bouchra warmly Welcomed us and she Showed us the premises. Then, Lamiina offert us Some lovely pastries and mint tea. 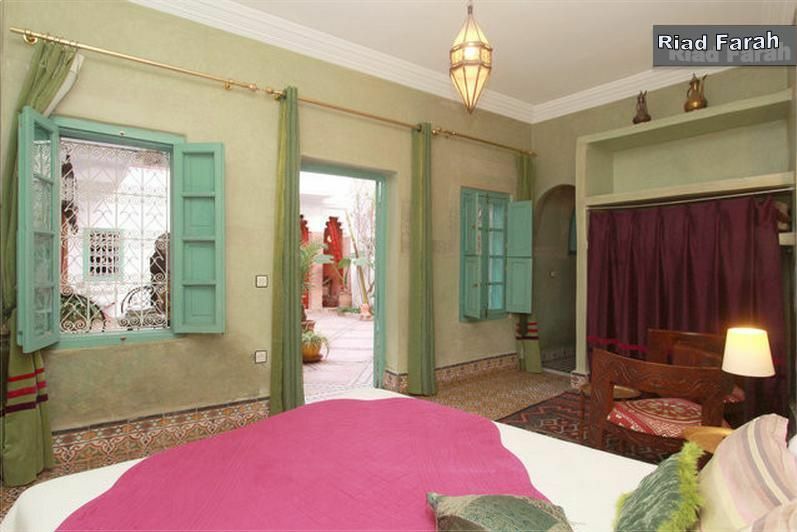 The Riad Itself is beautiful, really quiet and peaceful, it is hard to believe you are in the city center! All the en-suite bedrooms are spacious, nicely decorated, and They Areall equipped with air-conditioned. There is a little (!) Swimming pool in the courtyard and inside there aussi a fantastic roof terrace. Personally, I was ble to go there in the evenings only, It was far too hot falling on the day! We had dinner twice at the Riad (first evening birthday dinner +) and we all loved it. I Strongly advise you to eat at the Riad at least once, Lamiina is a fantastic chef. Bouchra and Lamiina are super nice and really helpful, do not forget to tip 'em, They are really worth it! My friends and I Had Some booked excursions / hammam and Bouchra kindly Helped us to get in touch and the agencies she odd Agreed on the meeting point etc.. Some of my friends wanted to buy the same tableware We had for dinner, and Lamiina Went to the market for 'em Bought and everything, how nice is that?! We all had a great time, our stay at the Riad Will Remain unforgettable, and We would be happy to go back there in the near future! Thanks for everything! We were a group of 17 people in our 30s travelling to Marrakech for 5 days to discover the city and to celebrate a birthday. The offer for our stay was based on the accommodation incl. breakfast + airport transfers + touristic taxes + birthday dinner including local musicians. 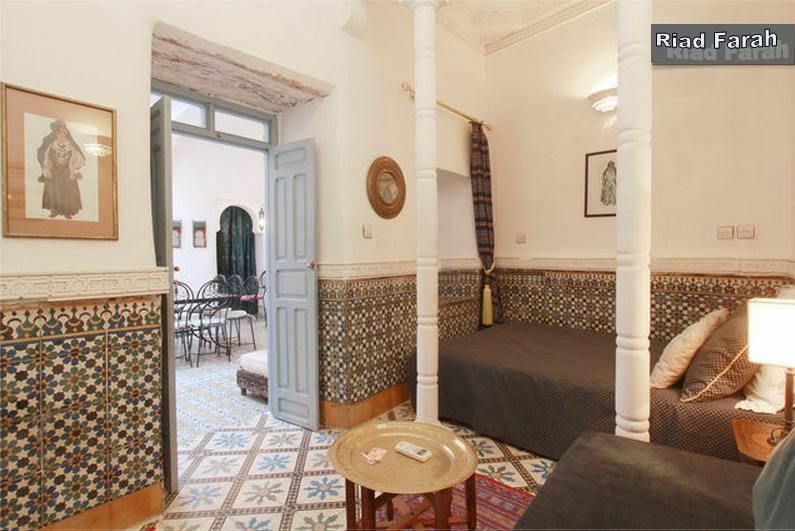 I found the Riad on the Internet in December, and I have been in touch with the landlord, Mr Coulaud, several times prior to the trip. Mr Coulaud is a lovely man, he has done his best to help and to reply to all my questions in the best manner. He even took the time to call me on my UK mobile to clarify the points I was not sure about, I really appreciated the gesture! According to the plans, when we arrived at the airport, the transport was waiting for us. 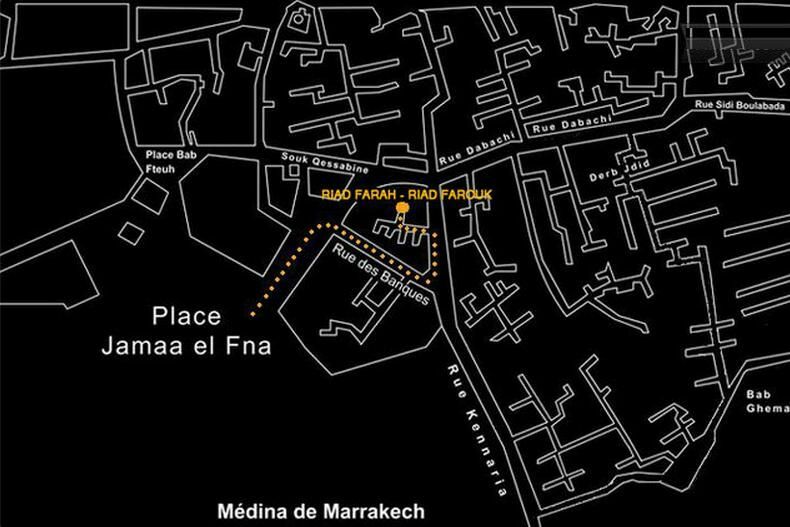 Once we arrived at the Medina, a lady showed us the way to the Riad which is only a few minutes away from Jemaa el Fna. At the Riad, Bouchra warmly welcomed us and she showed us the premises. Then, Lamiina offered us some lovely pastries and mint tea. 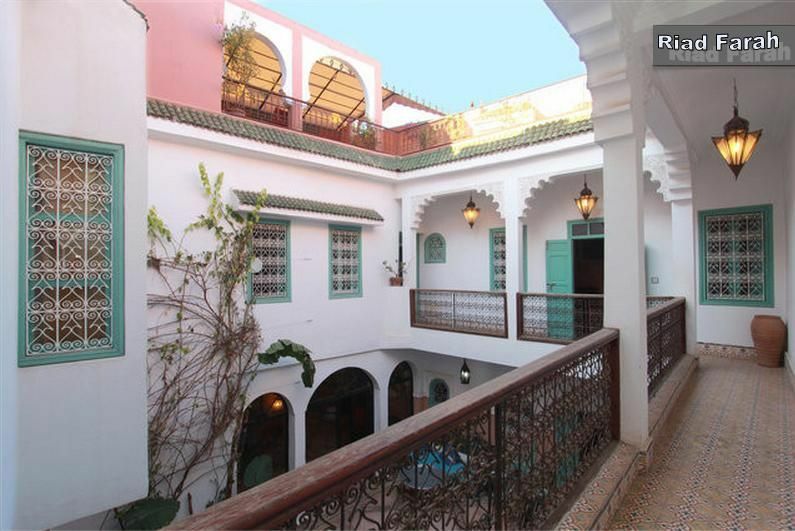 The Riad itself is beautiful, really quiet and peaceful, it is hard to believe you are in the city centre! 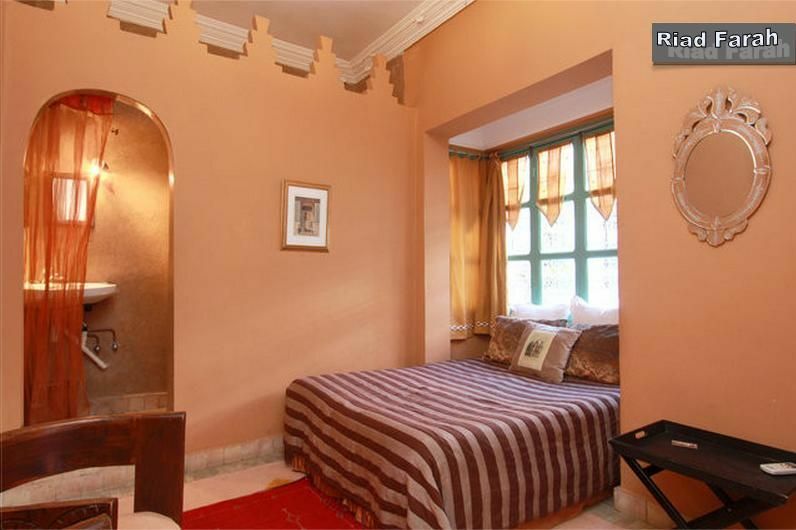 All the en-suite bedrooms are spacious, nicely decorated, and they are all equipped with air-conditioned. There is a little (!) swimming pool in the inside courtyard and there is also a fantastic roof terrace. Personally, I was able to go there in the evenings only, it was far too hot during the day! We had dinner twice at the Riad (first evening + birthday dinner) and we all loved it. 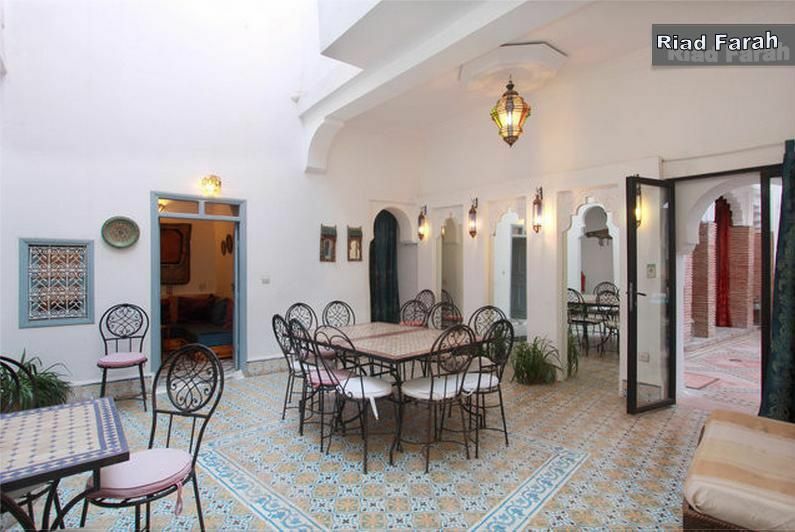 I advise you strongly to eat at the Riad at least once, Lamiina is a fantastic chef. Bouchra and Lamiina are super nice and really helpful, do not forget to tip them, they are really worth it! My friends and I had booked some excursions/hammam and Bouchra kindly helped us to get in touch the agencies and she even agreed on the meeting points etc. Some of my friends wanted to buy the same tableware we had for dinner, and Lamiina went to the market for them and bought everything, how nice is that?! We all had a great time, our stay at the Riad will remain unforgettable, and we would be happy to go back there in the near future! Thanks for everything! More pleasant it is in the center of the medina. The staff is very friendly and available. Cadre agréable de plus on est dans le centre de la médina. Le personnel est disponible et très sympathique.